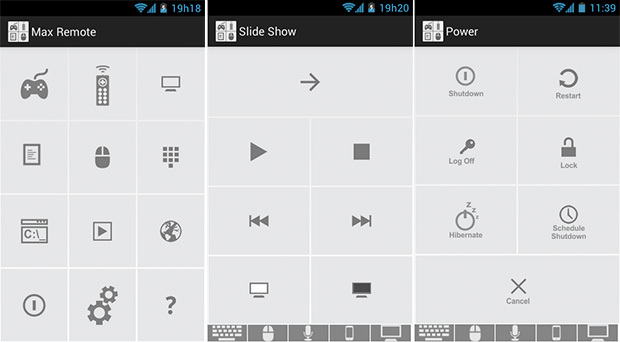 Today’s smartphones have become tools that can do almost any kind of thing, and in this case I want to recommend a cool app called Remote Beta Max , which allows us to convert our Android phone or tablet into a remote control for our PC . With this application we can use our Android catching a lot of things to our computer , such as power management, keypad, joystick to play, and so much more that I want to leave a comment below. Max Remote controls our device through WiFi network , and so we must install the application on the client device and the computer. Estña JAVA based, so it runs on any PC that supports this platform.